When shopping for a potential VPN provider it is worth knowing some basic nuts and bolts about VPNs. A VPN, or Virtual Private Network is a process of tunneling your connection to the internet from your device, through a remote server, and then on into the world wide web. As your connection is tunneled through the remote server, your data stream is being encrypted to protect you and your data from prying eyes. The same time the encryption is happening, you are given a new IP address that will be based off the physical location of the remote server. This aspect of a VPN is especially useful if you are traveling abroad and wish to still stream your local television via the web. In normal scenarios you would be blocked from viewing this content when you were out of the projected region. With a VPN you can gain access to an IP that is in the correct region in order to avoid the geo locked content. By its very nature, using a VPN is an extremely safe thing to do. Most vpns have a default 128 bit encryption and many providers offer additional encryption of 256 bit or higher but typically charge a higher cost for the service. It is always recommended to use a VPN especially when accessing the internet via public WiFi. Public WiFi hotspots tend to be the preferred hunting grounds of data thieves who intercept the data as it is transmitted. By using a VPN that data is just gibberish and the thief will likely move on to easier prey rather than spend extra time on your encrypted data. Data thieves aren’t the only reason for using a VPN however. Some internet service provider will log your user data which can then sometimes be sold to third parties who wish to target you with their advertising or potentially turned over to authorities in some cases. By using a VPN your data cannot be logged and you are given a greater level of anonymity on the web. How Fast Can It Really Be? A VPN’s speed is dependent on two key factors, your physical relation to the servers and how many available servers there are for use. You are adding an additional step to any data that you send and receive, the closer that you are to the remote server the shorter distance that data has to travel before going out in the wilds of the internet. A provider with a relatively small number of available servers can congest during peak times if many users are attempting to access the web at the same time. In almost all cases your connection speed will slow down, how much it slows down depends on the factors above but this connection does have some benefits as well. Many internet services can be intermittent with the data flow speeding up and slowing down in a regular pattern. Connecting via a VPN will secure that connection and level it out, so while you may be seeing a slower max speed you are less likely to see massive spikes where your connection slows well below the max promised. 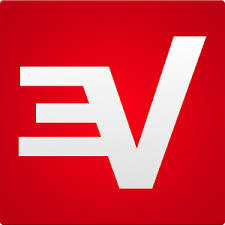 ExpressVPN is a provider who offers various levels of security. The provider offers both 128 bit as well as 256 bit encryption but these are dependent on which protocols you connect with. OpenVPN is the standard protocol but ExpressVPN also offers PPTP, L2TP, and IPSec which work on some devices that do not support for the OpenVPN protocols. A major downside to users seeking complete anonymity is the ExpressVPN does log basic actions suchs as your actual IP address, server choice while connected, and the total amount of bandwidth you used while connected to the service. ExpressVPN is also based in the United States and will be subject to relevant US laws pertaining to digital information and more. ExpressVPN isn’t the fastest VPN provider available but it is highly unlikely that you will notice any significant drop in performance or speed. When comparing VPN providers you are better served by looking at the average speeds as many do not consistently offer their max possible speed just as with internet service providers. Just as with ISPs you will see occasional dips in speed and performance but most of the time they will be unnoticeable. ExpressVPN offers the standard protocol of OpenVPN, but also provides access to PPTP, L2TP, and IPSec. This is particularly useful if you only want to access a VPN while on your tablet or smartphone which do not support OpenVPN. The variety of protocols also ensure that you will be able to connect to nearly any device you may want with little to no frustration or lengthy and risky work arounds.